Remember me? I was building an RV-7 a few years ago. To make a very long story very short, back in 2013, I sold the RV-7 kit to a gentleman in North Carolina after reaching the conclusion that at my (then) current build rate, I would likely need a four-seater (RV-10?). Well, after a smooth transaction, the family and I made 3 cross-country moves chasing fun Flight Test jobs around the country and finally settling somewhere in the midwest. Standing in my large garage (ahem….airplane factory), I started dreaming about building again. On the exact same day, the gentlemen who bought my kit happened to post a FS: RV-7 thread on VAF. I didn’t really want to start a used kit, so I was thinking of a new set of preview plans, but I thought I’d investigate anyway. So, after a few more emails, and after figuring out that he hadn’t worked significantly on the kit, the wife (yes, girlfriend turned into fiance turned into wife) gave the nod and I purchased the kit back. 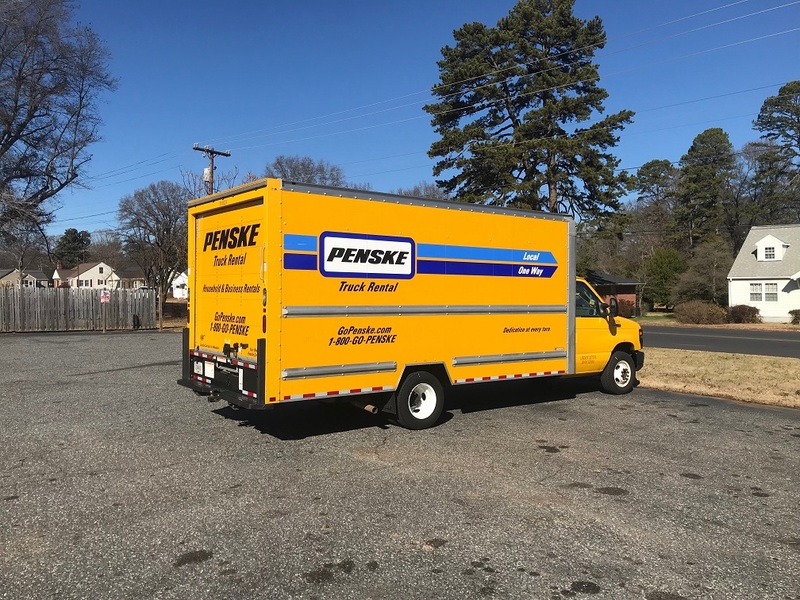 After months of getting the house sorted out, I flew out to North Carolina, rented a truck, and drove the kit back across the country over two very long days. I was surprisingly sparse with the pictures, but I did take a few. 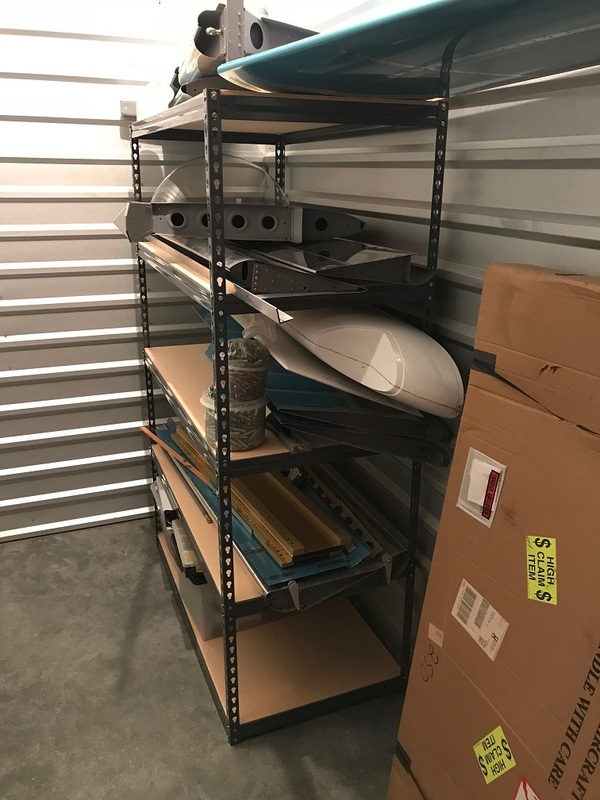 a 5×10 storage unit is about 3″ short of being able to hold RV-7 wings. 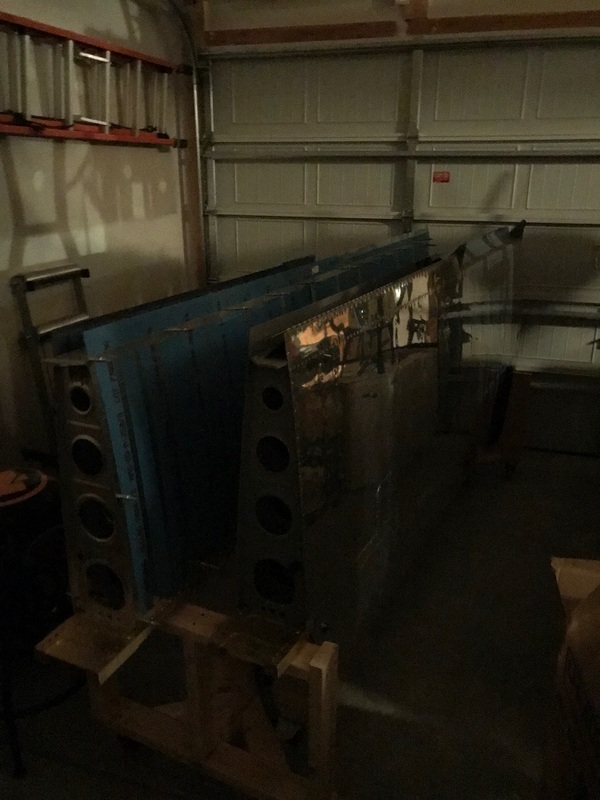 And poorly-taken picture of the wings in the garage. Also, someone else reserved my N-number when I wasn’t looking. 1) Rename the build site. 2) Convince a VAF moderator to change my username. This entry was posted on Wednesday, February 7th, 2018 at 1:26 pm and is filed under Other. You can follow any responses to this entry through the RSS 2.0 feed. You can leave a response, or trackback from your own site. One Response to I did a thing. Congrats, Andrew – I look forward to following your progress once you resume operations!